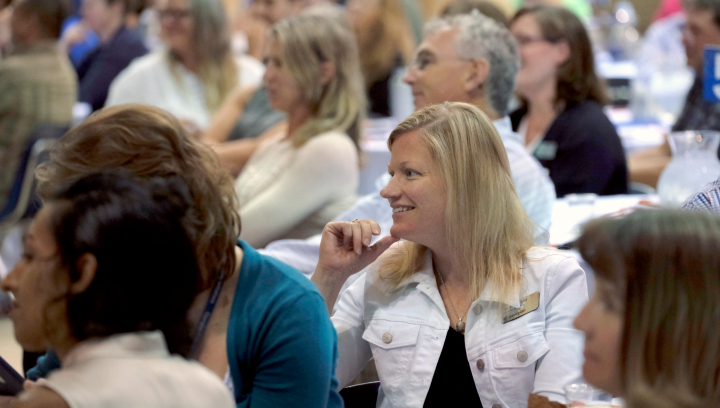 Our Barrie Campus offers a variety of meeting and event facilities, year-round. Whether you’re planning an intimate gathering for 10 or a 1,000-person conference, dedicated and certified on-site staff will help ensure the success of your event. Whether you’re looking for a three-course, plated, gala dinner for your entire company or cookies, tea and coffee for a board meeting, we have what you need. Our on-campus caterers can provide a suitable menu for any occasion. From May to August, our campus residence offers a comfortable stay for retreats, conferences, sports camps and more. With private two-bedroom suites, full bathroom and kitchenette, let us be a home away from home during your next event. Georgian Conference and Event Services is your partner in the event planning process. We’re here to help you achieve your goals by providing insightful recommendations and professional, sincere service from your initial inquiry through to the end of your Barrie event. It was an absolute pleasure working with Angela and your team. The facility was great, and the help in co-ordinating all the fine details made it go very smoothly. We had very many positive comments and happy conference goers. My colleagues and I had the sincere pleasure of working with Kirsten and her teammate and we cannot say enough about how thrilled we are with the support we received. My team organizes several events and not only was this one executed flawlessly but your team went above and beyond to help us make every little detail perfect, even when they had to scramble to meet unanticipated requests. They did so with exceptionally positive attitudes. I have to say your IT support staff were also extremely courteous, professional and helpful. We loved the way the tables were decorated and our kids did a great job making speeches. Ralph and I feel so blessed. It was a wonderful day of celebration with family and friends that we will never forget. Again, Angela thank you for a remarkable day. We would certainly recommend Georgian to everyone. We can’t express enough our appreciation for your part in our special day. Thank you. You all did a great job. I just wanted to say how incredible Kirsten was with our SCDSB Early Years Conference this weekend. She answered every question promptly, was always available to us, and was incredibly flexible on the day of. We are so appreciative of the work that Kirsten did in helping the day to run so smoothly! Watch our team perform a gymnasium transformation. It’s true! Your patronage matters to us because our students matter to us. By hosting your event at a Georgian College event venue, you are directly contributing to the student experience. Every department involved in event planning and execution hires Georgian students and event revenue is re-invested in student services and spaces. Classroom and lecture hall rentals contribute to maintenance and upgrades in these spaces so technology stays current. Catering from the Georgian Dining Room or The Last Class provides our students with part-time jobs as well as the hands-on experience they need to excel in the culinary and hospitality industries. Rental fees from our Athletics Centre and The Last Class go directly to the Georgian College Students’ Association to put back into student life activities. Book your meeting or event today!